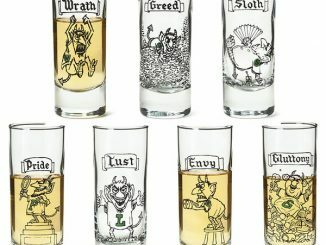 Tourists are always told not to drink the water in Mexico, but don’t eat the tacos? 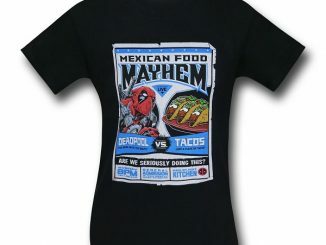 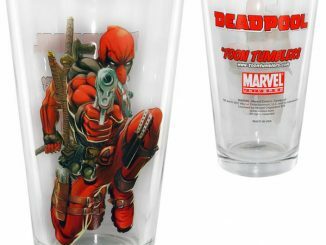 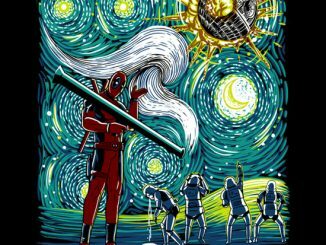 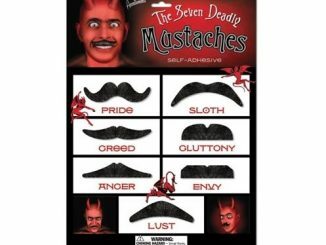 With the Deadpool Deadly Tacos T-Shirt Marvel’s merc with a mouth seems to be suggesting that the tacos are deadly….or maybe he is the deadly one? 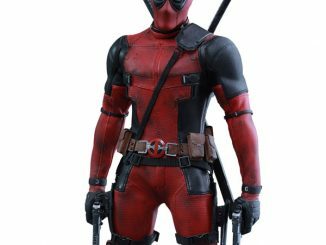 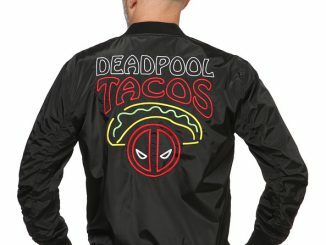 We all saw how Wade Wilson handled his pizza delivery in Deadpool, I can only imagine what a taco delivery from Deadpool would be like. 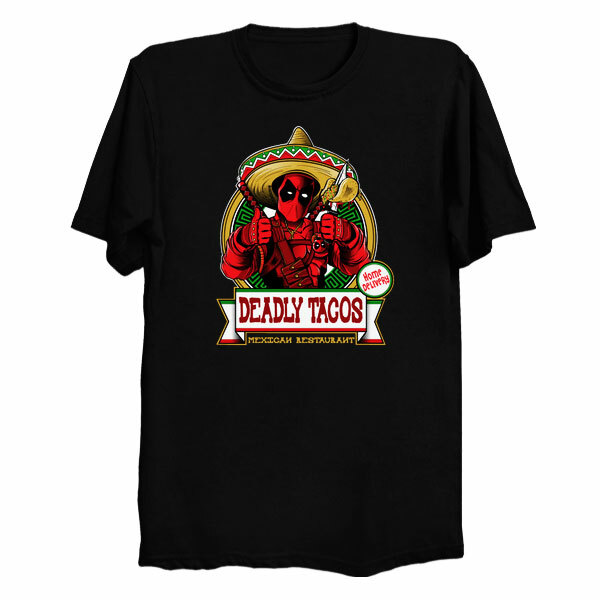 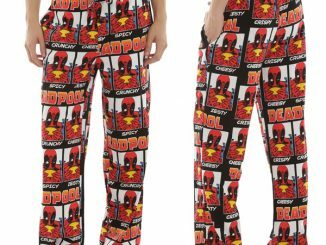 You can find this awesome Deadpool Deadly Tacos Tee in a variety of colors, and styles for men and women…and the ladies do seem to like Deadpool. 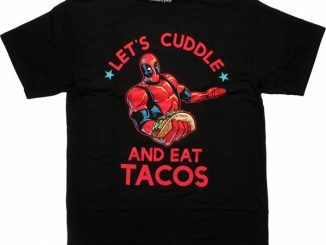 Feel like a death Tacos? 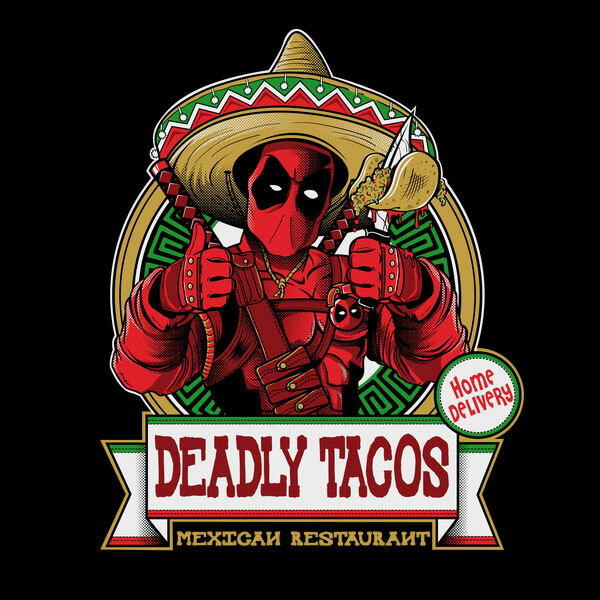 Call at Deadly Tacos Mexican Restaurant, and order some tasty tacos!! 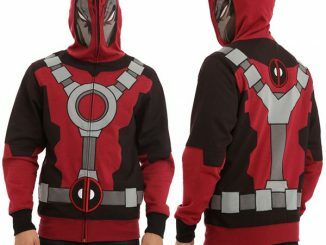 Home delivery in the hands of the same Deadpool! 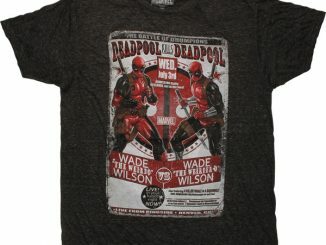 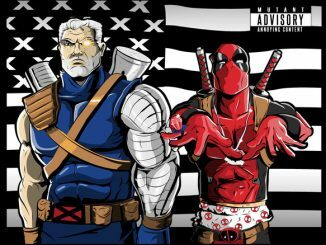 Purchase the Deadpool Deadly Tacos T-Shirt at the NeatoShop.com and remember to check out other cool designs like the Outkast Stankonia T-Shirt Mashup with Deadpool and Cable and the Glowing Black Panther King T-Shirt.